This past March marked the introduction of the latest addition to our Agile Series and set a new standard in gun storage. With the release of the Agile Model 40, gun owners can increase their storage capacity without having to increase the amount of floor space being taken up. Designed to mount on the top of the Agile Model 52, the Agile 40 can store up to six long guns (under 38.5″ in length) or function as a storage unit for ammo, gear, accessories, and supplies. 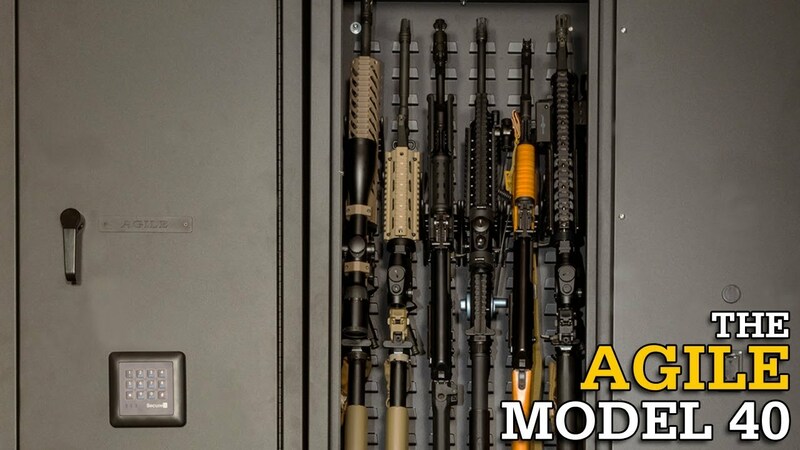 By incorporating the same methodology we use in our armory designs for the military bases around the world, your gun storage system can now grow along with your firearm collection. Additional components and cabinets can be added to the Quad Kit system so your storage space is never really maxed out. You’re able to keep everything in a centralized location or, place cabinets all throughout your home for the purpose of decentralization. You also have the ability to customize and upgrade the cabinet interiors as you see fit. You are no longer constricted by the limitations provided by the traditional gun safe. 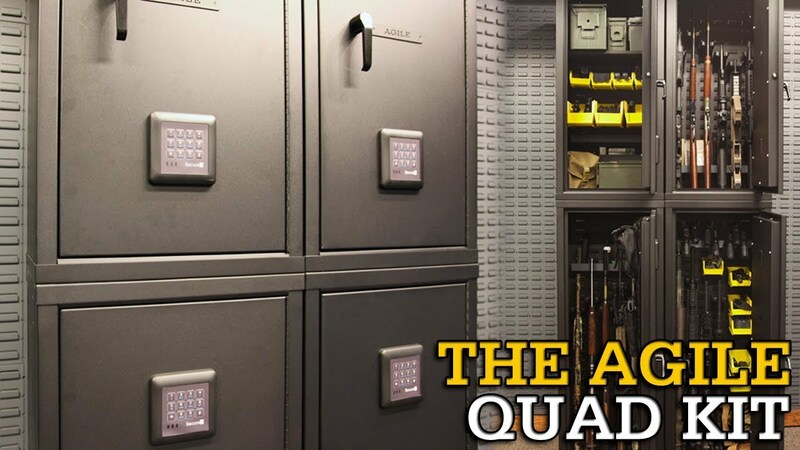 A benefit to the Agile Quad Kit is the ability to store a number of firearms with associated and related parts, gear and ammo. You can store your hunting rifles in the Model 52 with any relevant gear and accessories in the Model 40 above. Cabinets in the Quad Kit can be assigned to a specific style of firearm and gear. We’ll often see people separating their hunting rifles from their tactical or sport shooting rifles and handguns. Incorporating a Bin Kit or Storage Tray is also helpful in keeping all gear related to a specific firearm organized and close by. Like the Agile Model 52, the Agile 40 is compatible with all CradleGrid accessories. The Model 40 is great to use for ammo and parts storage. If you have ammo cans or smaller boxes, utilizing a Bin Kit or Storage Shelf will provide ample storage. It’s a great way to separate your hunting or range gear from firearms. The Agile Model 40 is also adequate for storing smaller rifles, lever-actions, and handguns. It’s a simple way to space out all of your firearms and gear that are dynamic in shape and size. Visit our Agile Series Gun Cabinets page to shop and learn more about the product line!